Puglia is a spectacular holiday destination that has only recently found its way into the limelight. Packed with history, beauty and charm, a visit to this region will certainly be unforgettable. 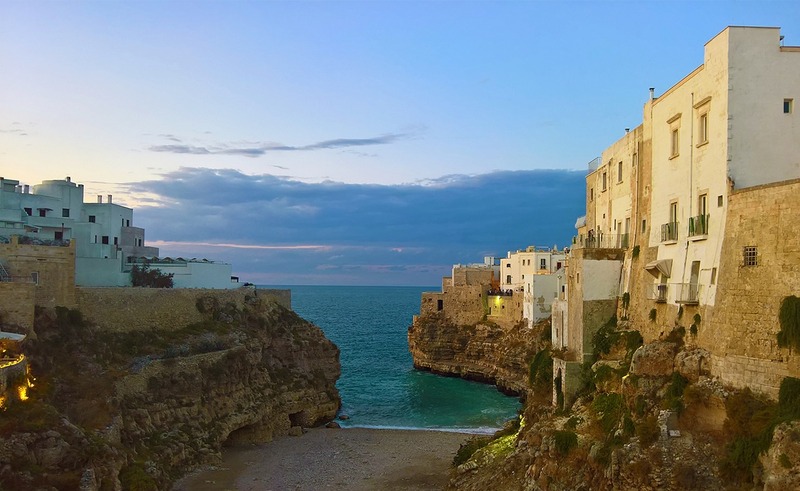 If you’re staying in one of our luxury villas in Puglia, you’re likely to have a full 7-days to explore the region, and you can check out our full guide on 7-Days in Puglia today! However, if a quick visit to Italy’s heel is to be added on to a visit to Italy, then here’s how we would recommend spending your 24-hours! If you are in Ostuni on a Saturday morning, we’d certainly recommend heading to the local market, which typically runs from 8am-1pm. Here you’ll be able to pick out the freshest breakfast, try lots of fine produce and pick up a little holiday memento or two. This is a fantastic authentic experience for all, and smaller markets take place on Wednesday’s and Friday’s if you’ll miss the big Saturday event. 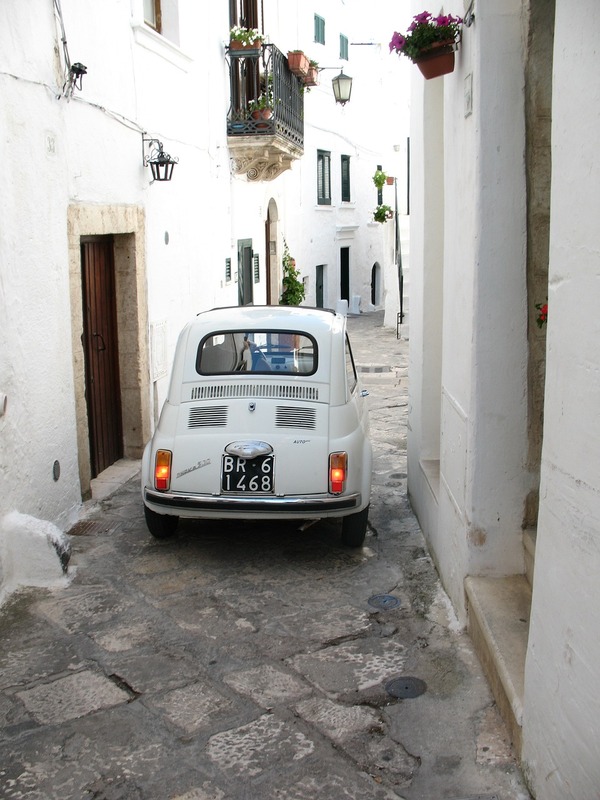 Aside from the market, Ostuni has plenty to see. Known as ‘the White City’, this is possibly one of the most stunning cities in southern Italy. Here you can enjoy a walking or cycling tour, take a wine tasting session or simply marvel at the beautiful white buildings as you wind through the tiny streets. Between the hours of 1.00pm and 7.00pm, a lot of Puglia is quiet, and often shut. Ensure that you’ve eaten lunch before 1.00pm, as many of the cafes and restaurants will be closed for the afternoon. This means it’s the perfect time to head to the beach and soak up the sunshine! If you’re feeling brave, you might even like to try out some of the local watersports on offer! We recommend picking a beach close to where you spent the morning, or where you’d most like to visit in the evening. 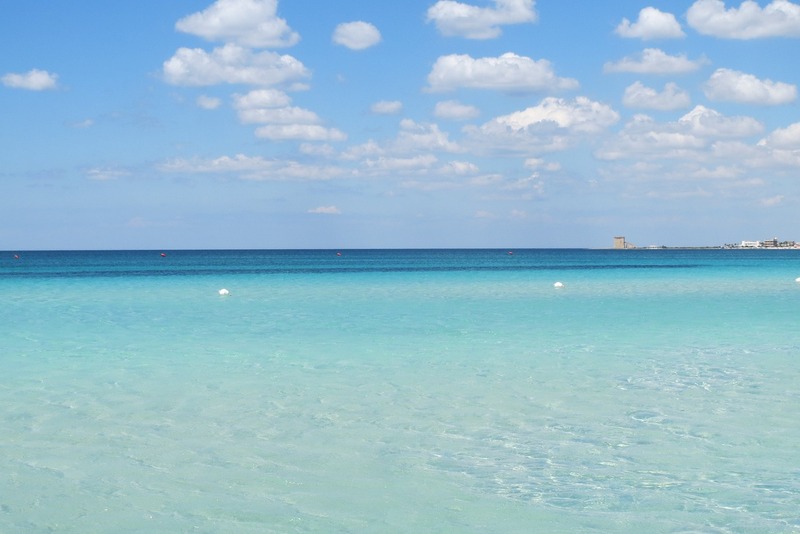 Torre dell’ Orso is a popular choice, with dramatic cliff sculptures, fine golden sand and clear waters all around, as is Torre Canne. Alternatively, lying just 8km away from Ostuni are some of Puglia’s favourite beaches on the Marina di Ostuni. 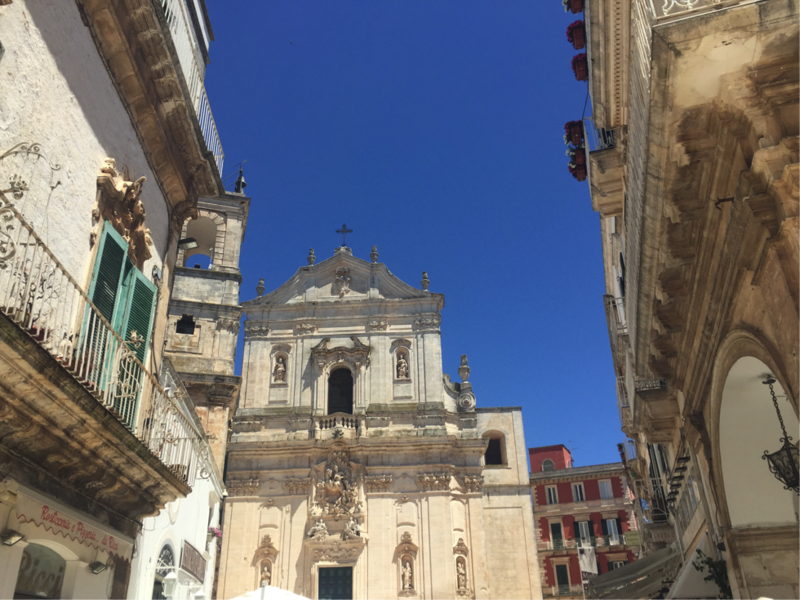 In the evening, a visit to Martina Franca will provide you with a fantastic array of choices for foods, several of which are featured in the Michelin guide! You could spend hours wandering around the town, and the best place to be of an evening is the Piazza Maria Immacolata. Here grand architecture and a buzzing atmosphere will surround you as you navigate your way through the maze. After you’ve walked off your main meal, be sure to indulge in some fine Italian gelato. 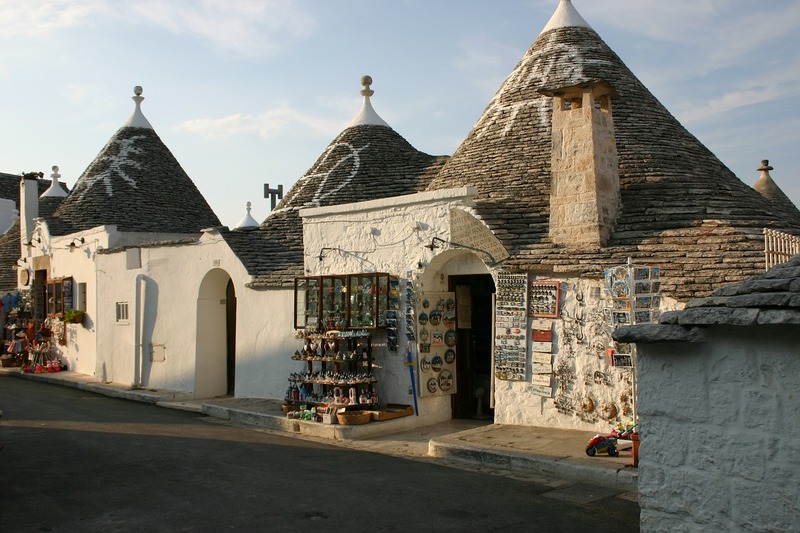 If you really want to make the most of your trip, we’d then recommend taking the short drive to Alberobello, one of the most well-known attractions in Puglia, where whitewashed Trulli fill the view and date back to the 18th century. This is one of the most traditional types of accommodation in Puglia, and will offer you a glimpse into the past! Here you can watch the sunset over the coned roofs as you relax with a glass of local vino! If you are heading north towards Bari, we’d certainly recommend stopping off at Polignano a Mare on the coastal route. It’s known for beautiful beaches and coves, perfect for a little swim, but it is also packed with history. Take a visit to the Museum of Contemporary Art Pino Pascali to feast your eyes on an array of stunning photography and selection of paintings. There are also plenty of quaint cafés where you can stop off for a fine Italian breakfast to fuel your day! Then continue towards Bari, which sits in the centre of the coastline. There is plenty to explore here, from the narrow cobbled streets of the traditional old town, the Basilica of San Nicola and the Church of San Sabino to the Via Sprano, which will cater for all your modern shopping needs. Before you leave Bari, ensure that you take a stroll along the promenade, Lungomare Nazario Sauro. It is around 1000m long and is linked with stunning architecture, framing the glistening sea ahead – a truly picture perfect walk! If you’re in need of any other recommendations, get in touch with us today, and one of our experts will be happy to provide you with advice from their own personal experiences!